Have you been shipping your craft or artwork outside of Canada? Are you aware of the rules and regulations of Customs Clearance and Duties? Whether you are shipping large wholesale orders or one item to an Etsy client, this session has important information you need to know. 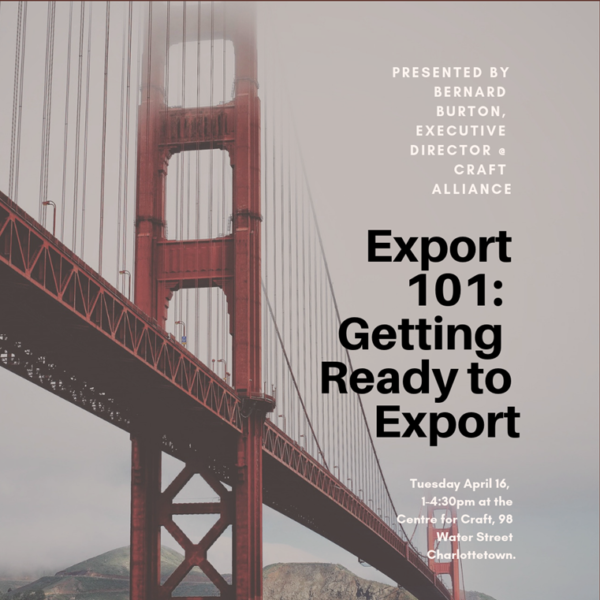 Export 101 is a great introduction to Exporting. It will focus on the requirements to become export ready and the logistics for export compliance clearance of shipments outside of Canada. The session includes Craft Alliance diagnostic online tools to determine whether your business is ready to export and what is required to become export ready. general requirements for business in other countries.